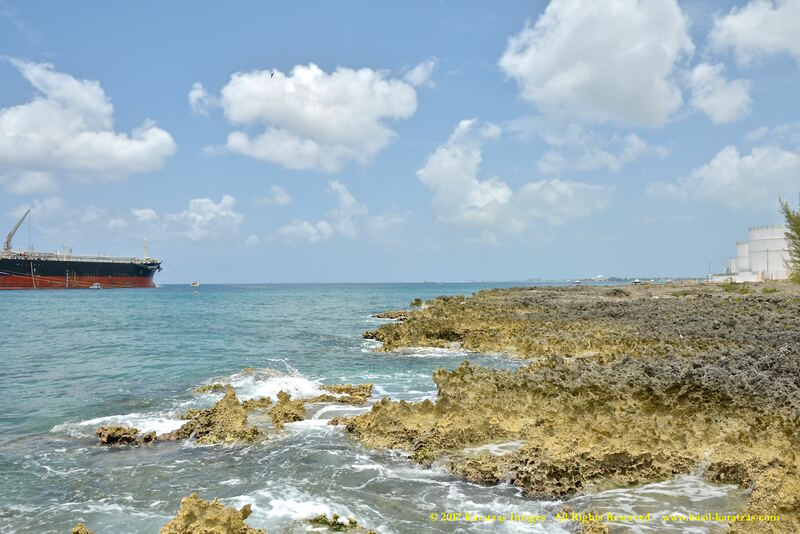 Posted on May 24, 2017 by Karatzas Marine Advisors & Co. 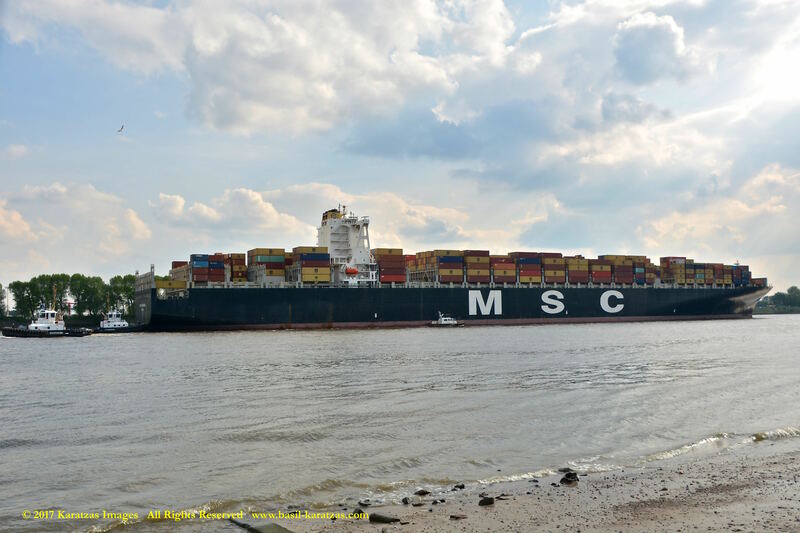 VESSEL IDENTIFICATION & DESCRIPTION: Launch Name was MSC Francesca. 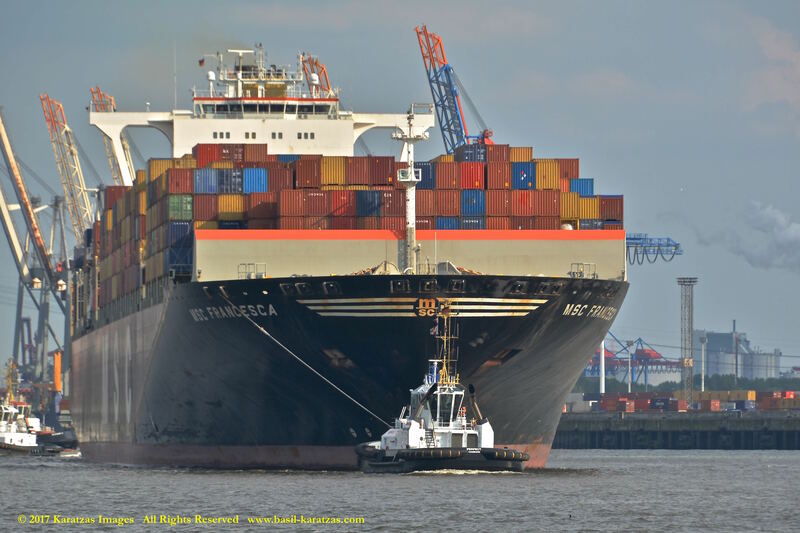 Neo-Panamax Containership 8,000-11,999 TEU, Call Sign 3FXI, IMO Number 9401116. 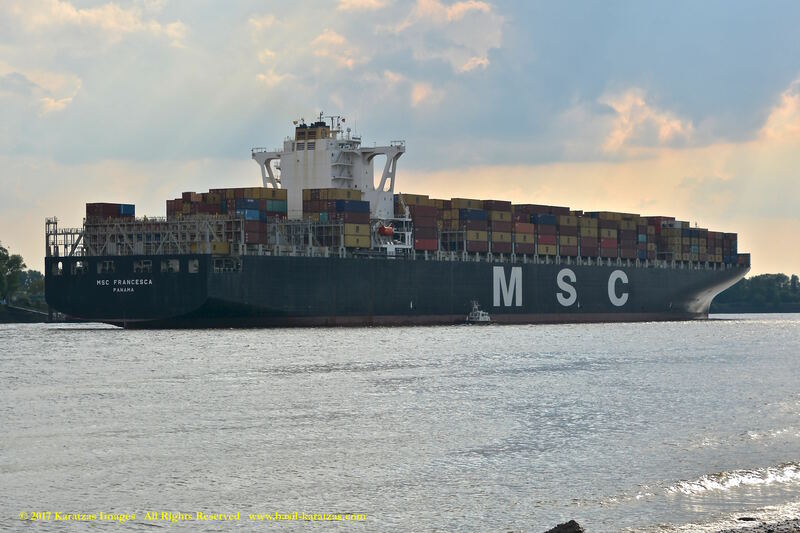 Built at Hyundai Samho HI, Panama Flagged, GL Classed, Length Overall of 363.50 m., Length Between Perpendiculars of 348.00 m., Draught of 15.50 m., Beam of 45.60 m., Moulded Depth of 27.30 m., Tonnage of 60,240 International Net and 129,280 Dwt (long). 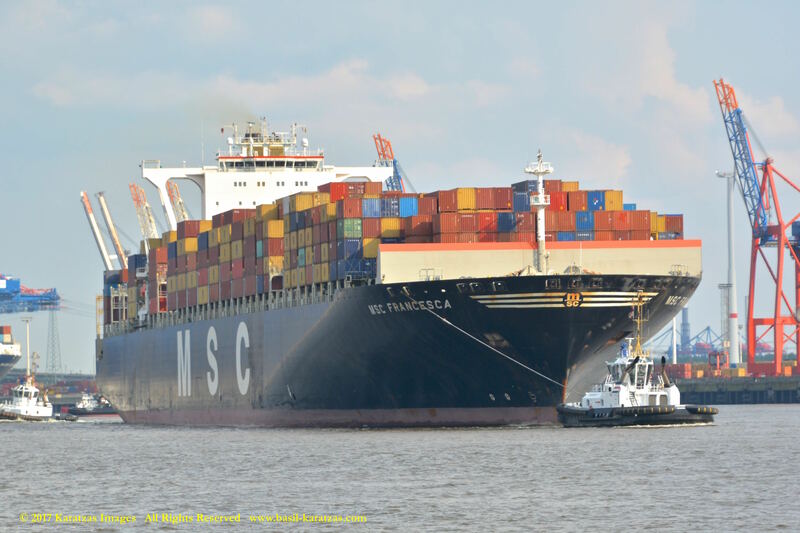 Gross Tonnage of 131,770, MAN B. 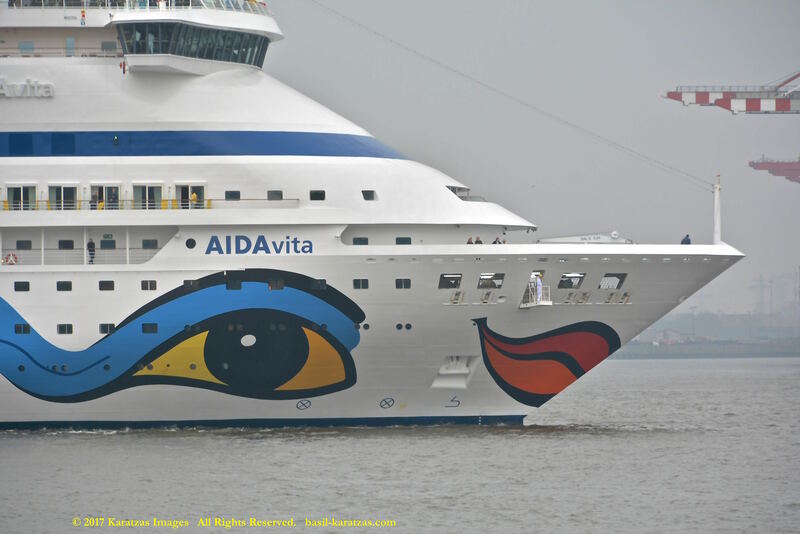 & W. Engine, Speed of 24.50 kts at 250.00 tonnes per day, Heavy Fuel Oil, Horsepower of 93,266. 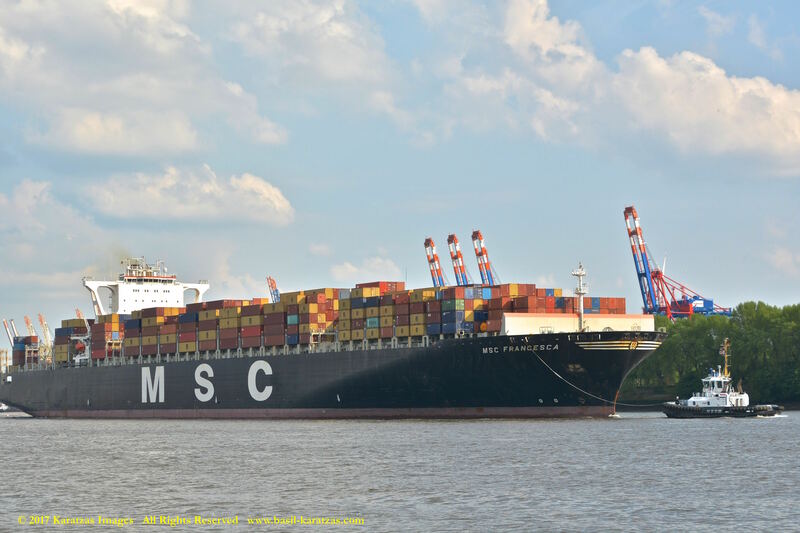 VESSEL’S OWNERS / MANAGERS DETAILS: Mediterranean Shipping Co SA (MSC), Switzerland. 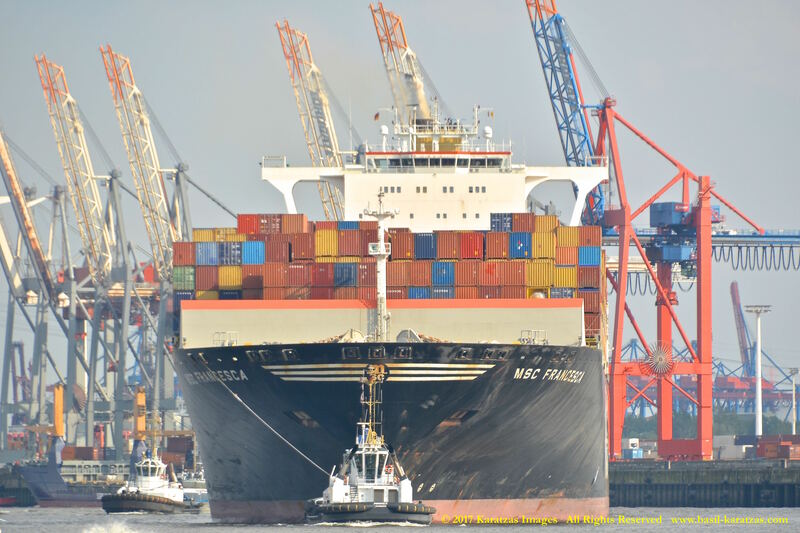 CARGO HANDLING DETAILS: Total TEU Capacities of 11,660 Total, 8,190 Homogeneous and 1,920 Reefer, 960 x Sockets. 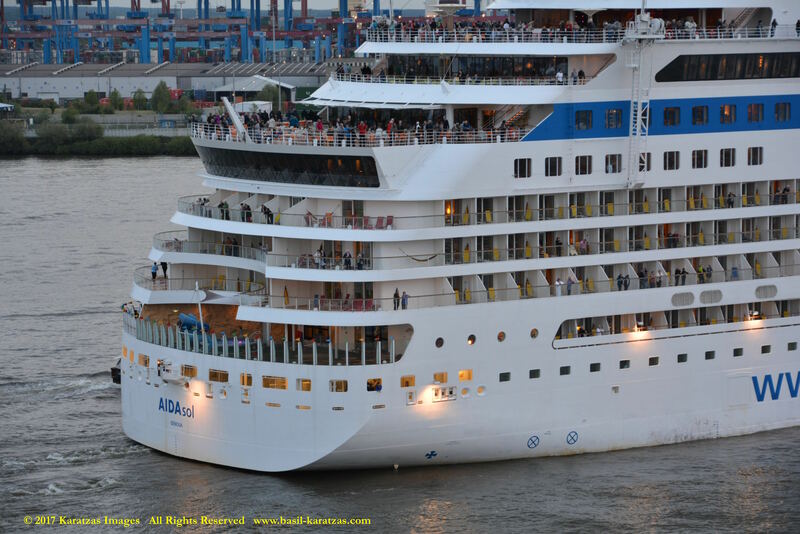 Ship is able to transit the newly expanded locks of the Panama Canal, but is not able to transit the old locks. ENGINE DETAILS: Engine Description 2 S.A. 12-cyl., Engine Model 12K98ME6.2. 1 x Diesel – MAN B. & W. 12K98ME6.2 – 2-stroke 12-cyl. 980mm x2660mm bore/stroke 68,597mkW total at 94rpm. 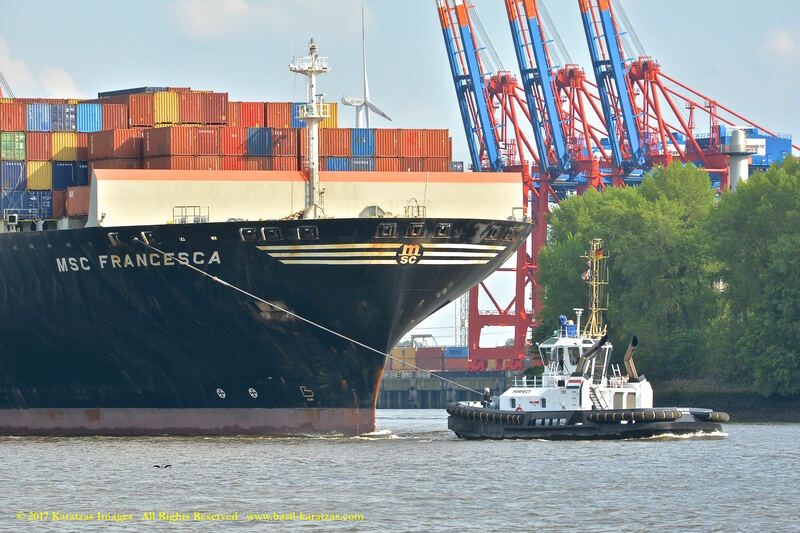 Close up picture of neo-panamax containership MV ‘MSC Francesca’ (almost 12,000-teu, built in 2009 at Hyundai Samho) departing the Port of Hamburg on a majestic, sunny early summer evening. 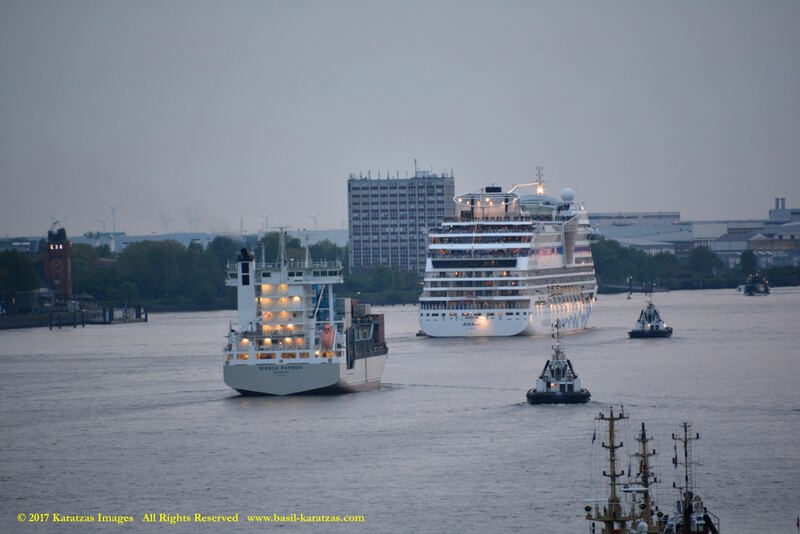 Here guided by the tugs in the main waterway of the Elbe River. 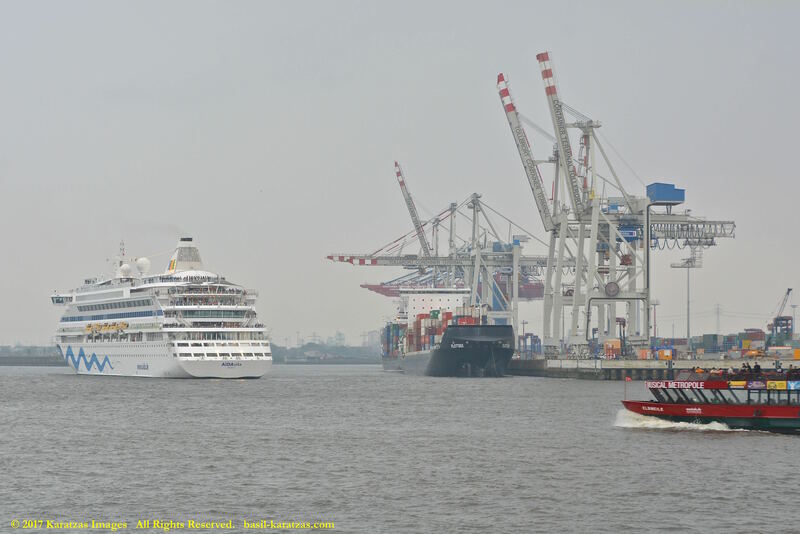 Image credit: Karatzas Images. 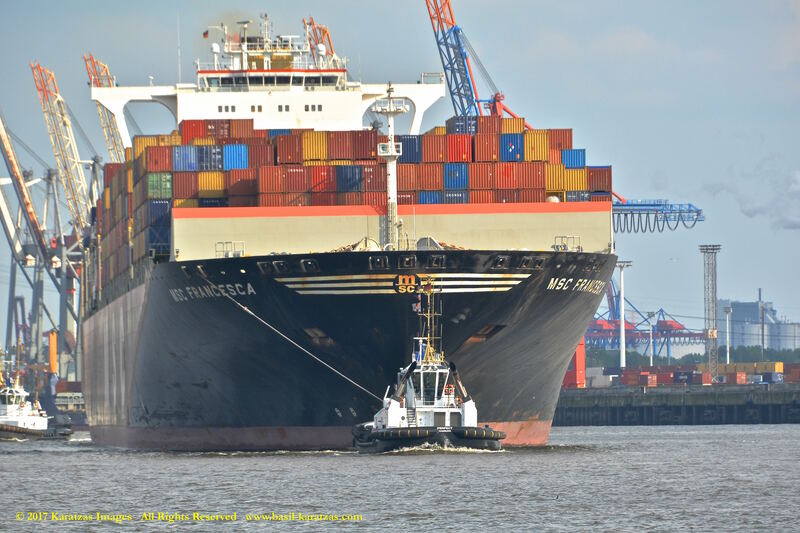 Close up picture of neo-panamax containership MV ‘MSC Francesca’ (almost 12,000-teu, built in 2009 at Hyundai Samho) departing the Port of Hamburg on a majestic, sunny early summer evening. 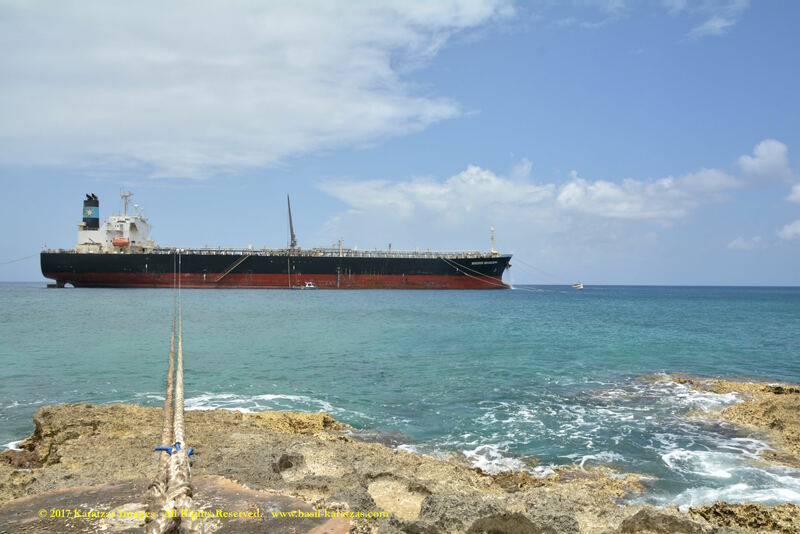 Tough to fit in one picture 363.5 m (1,193 ft) of length overall (LOA). Image credit: Karatzas Images. 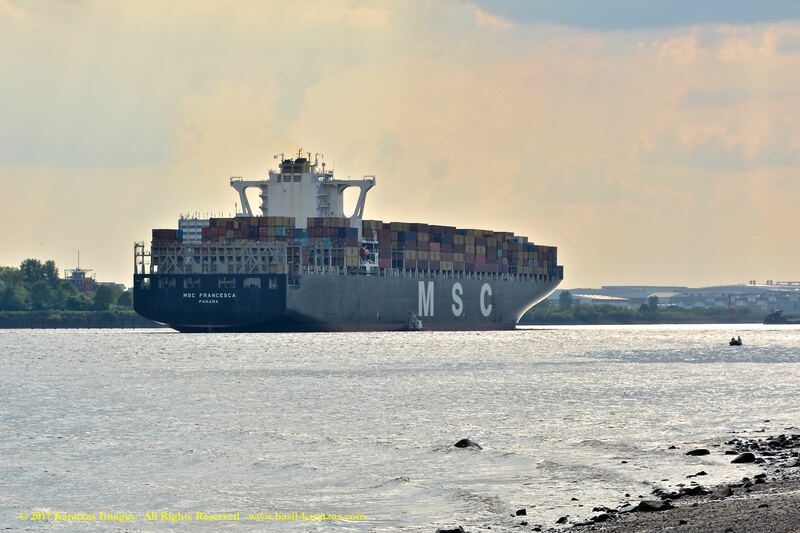 Close up picture of neo-panamax containership MV ‘MSC Francesca’ (almost 12,000-teu, built in 2009 at Hyundai Samho) departing the Port of Hamburg on a majestic, sunny early summer evening. 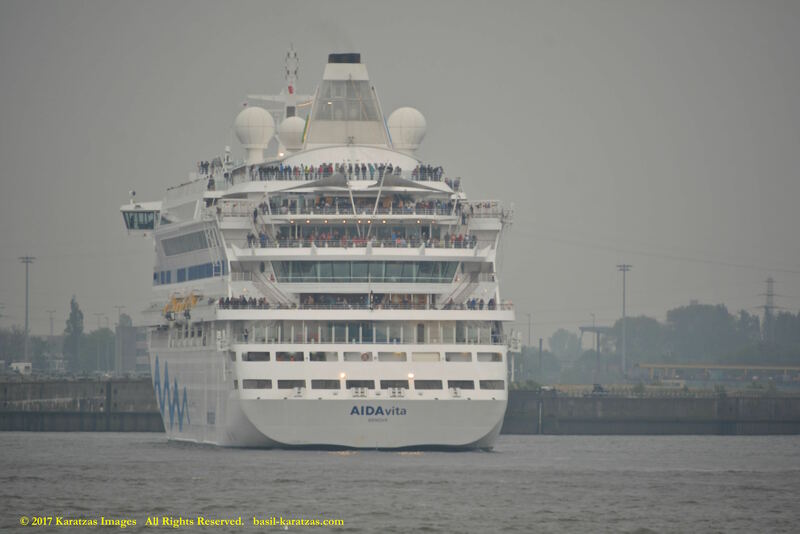 Clearly the ship is under-utilized as not filled to capacity. Hopefully trade will come back soon! Image credit: Karatzas Images. 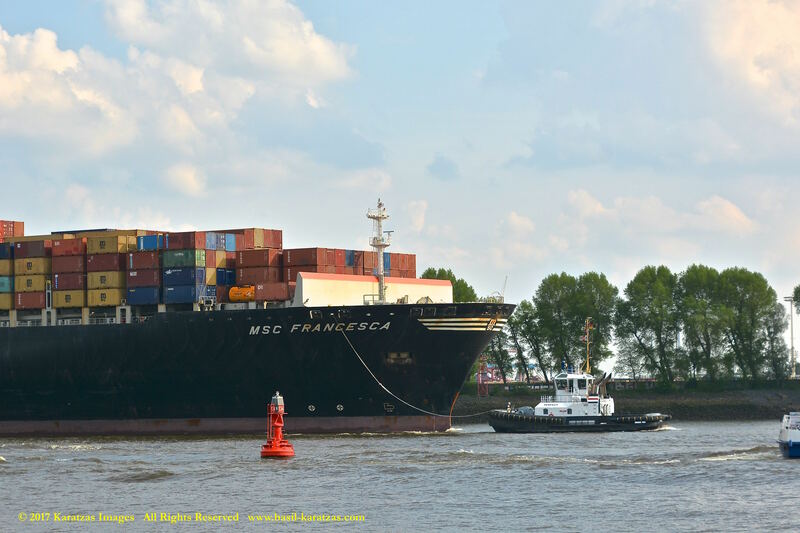 Close up picture of neo-panamax containership MV ‘MSC Francesca’ (almost 12,000-teu, built in 2009 at Hyundai Samho) departing the Port of Hamburg on a majestic, sunny early summer evening. 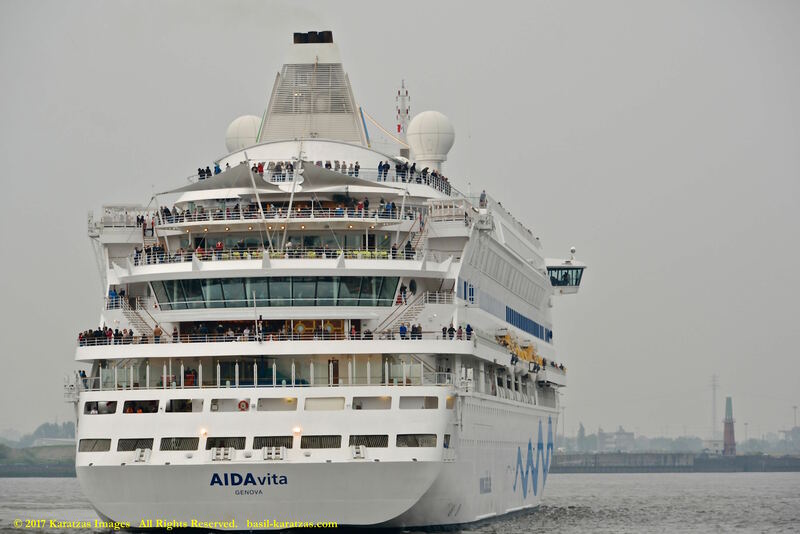 Do have a safe voyage, you Big Ship! Auf wiedersehen! Image credit: Karatzas Images. 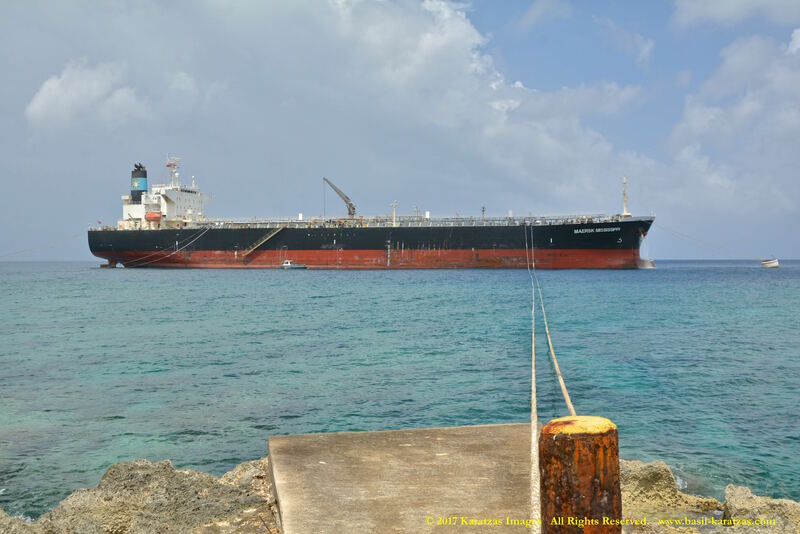 Posted on May 21, 2017 by Karatzas Marine Advisors & Co. 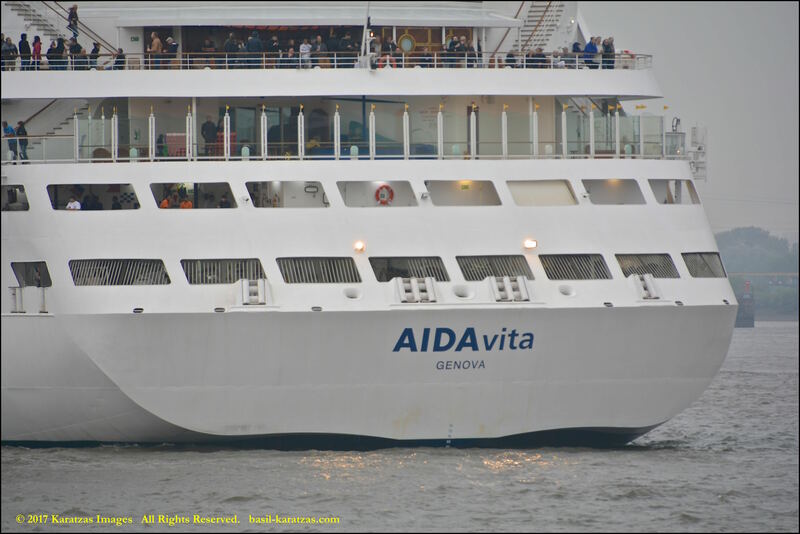 VESSEL IDENTIFICATION / DESCRIPTION: Launch Name was AIDAvita. 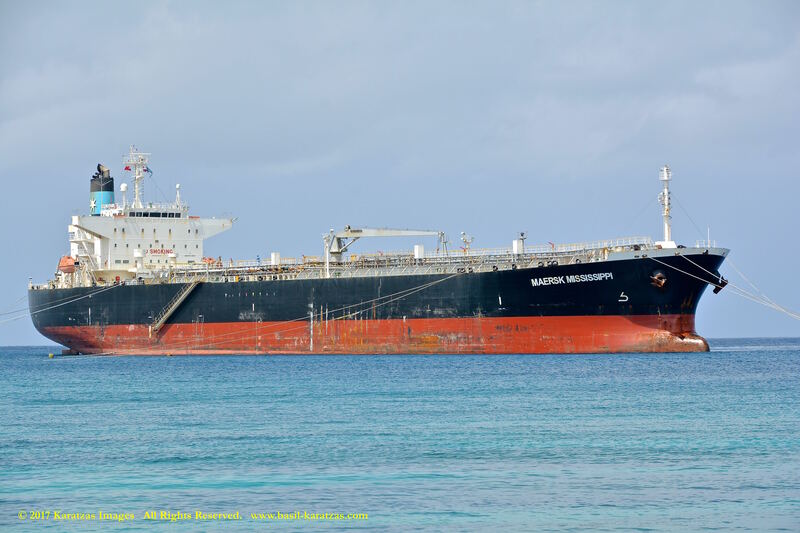 Call Sign IBNP, IMO Number 9221554. 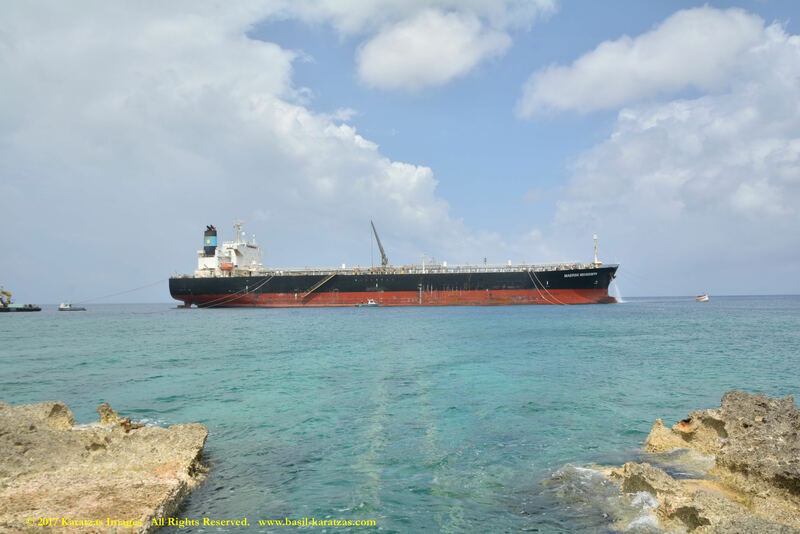 Moulded Depth of 11.55 m., Tonnage of 20,875 International Net and 4,165 Dwt (long). 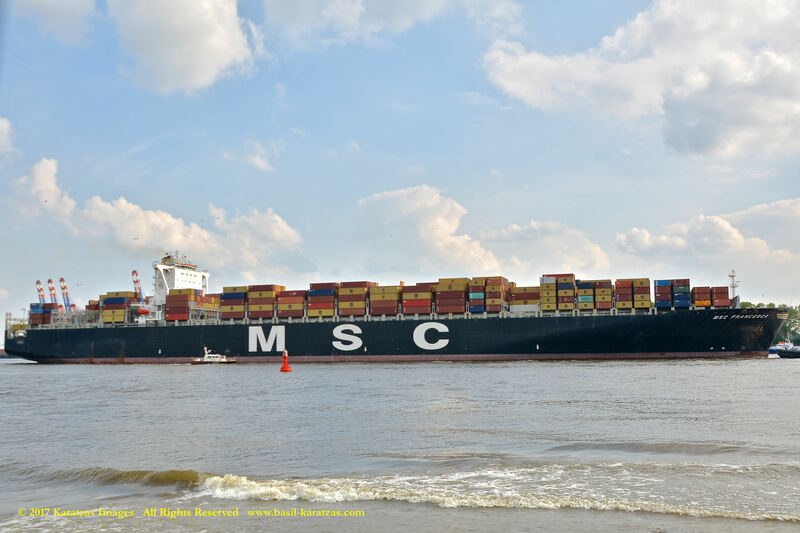 Built at Aker MTW Werft, Double Bottom Hull, Italy Flagged, DNV GL Classed, P&I insurance with UK P&I Club, Length Overall of 202.85 m., Length Between Perpendiculars of 182.00 m., Draught of 6.30 m., Beam of 28.10 m., Gross Tonnage of 42,290, Wartsila 4-stroke Engine, Speed of 21.00 kts, Heavy Fuel Oil, Bunker Capacity of 1,260 tonnes. 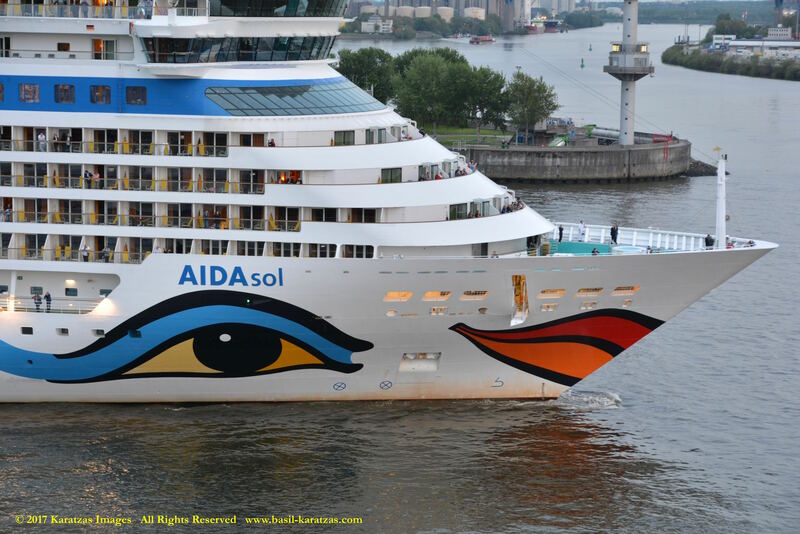 VESSEL’S OWNERS / MANAGERS DETAILS: Aida Cruises Ltd, Germany. 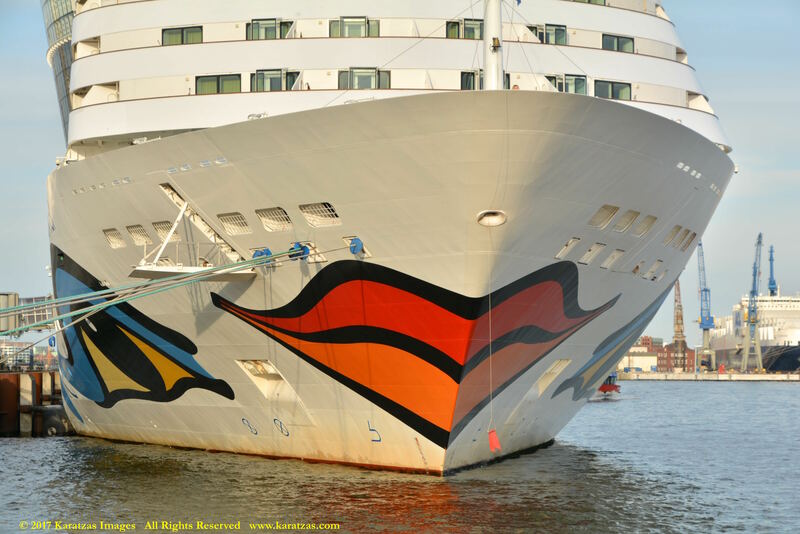 Aida Cruises Ltd is a subsidIary of Carnival Corporation & plc. 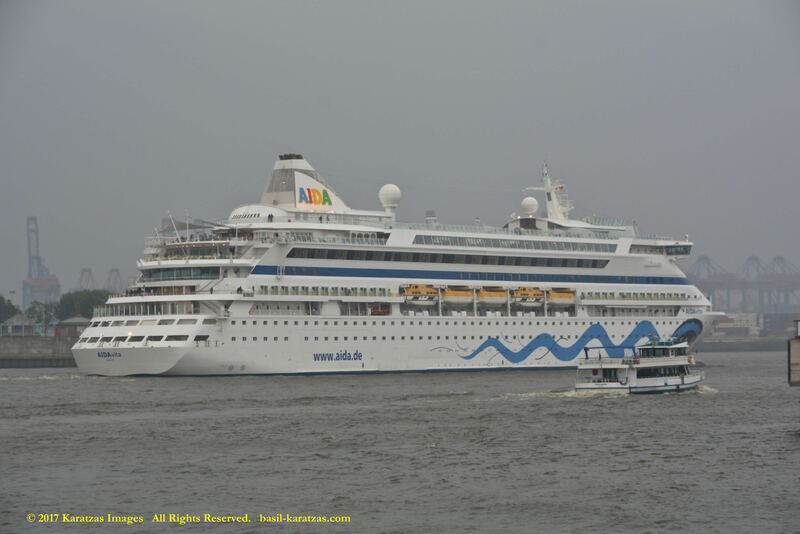 Registered Owner: Costa Crociere S.P.A.
ADDITIONAL DETAILS: Total number of Passengers 1,580, 635 Passenger Cabins, 1265 Passenger Berths, 9 Passenger Decks, 418 Crew. 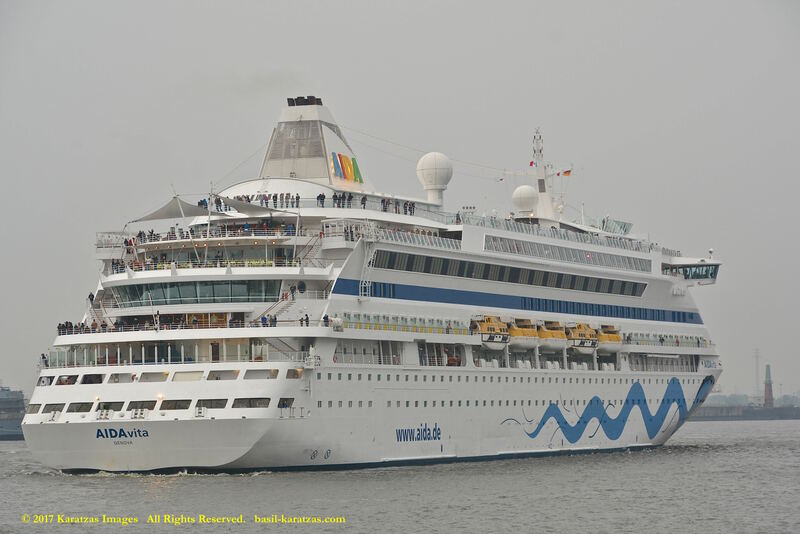 Vessel was reportedly had a newbuilding cost of US$ 190 mil in 1999. 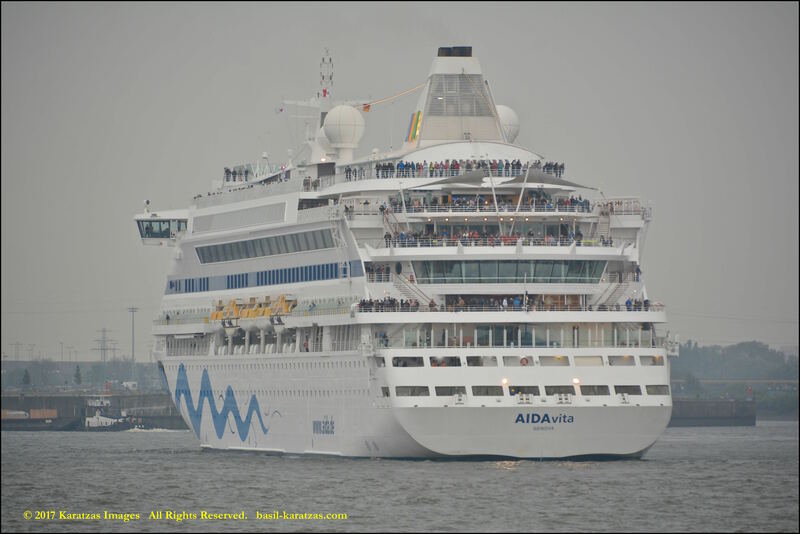 Sistership vessel is MS ‘AIDAaura’. 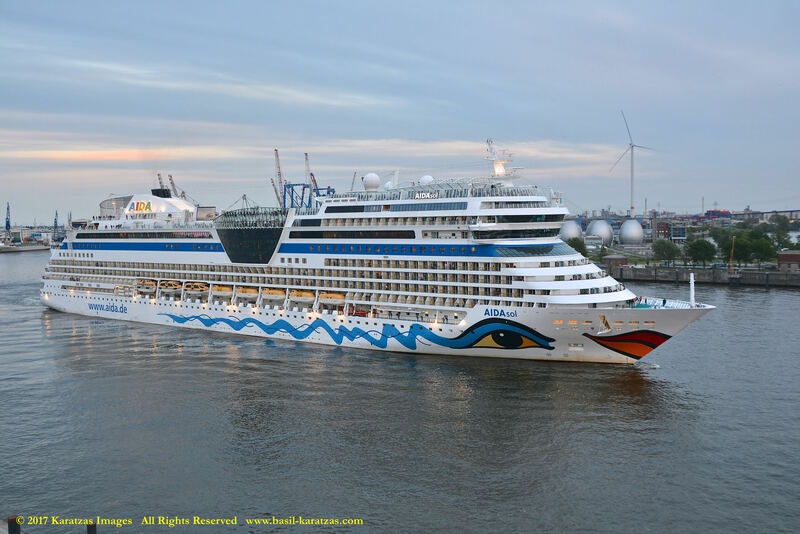 MAIN ENGINE: 2 x Diesel Gen – Wartsila 4-stroke 12V38B – 4-stroke 12-cyl. 380mm x 475mm bore/stroke 17,400mkW total at 600rpm driving 2 x AC generator(s) at 17,812ekW total, (22,266kVA total) 6600V. AUXILIARY: 1 x Aux. Diesel Gen – Wartsila 4-stroke 8L38B – 4-stroke 8-cyl. 380mm x 475mm bore/stroke 5,800mkW total at 600rpm driving 1 x AC generator(s) at 5,941ekW total, (7,427kVA total) 6600V, 1 x Aux. 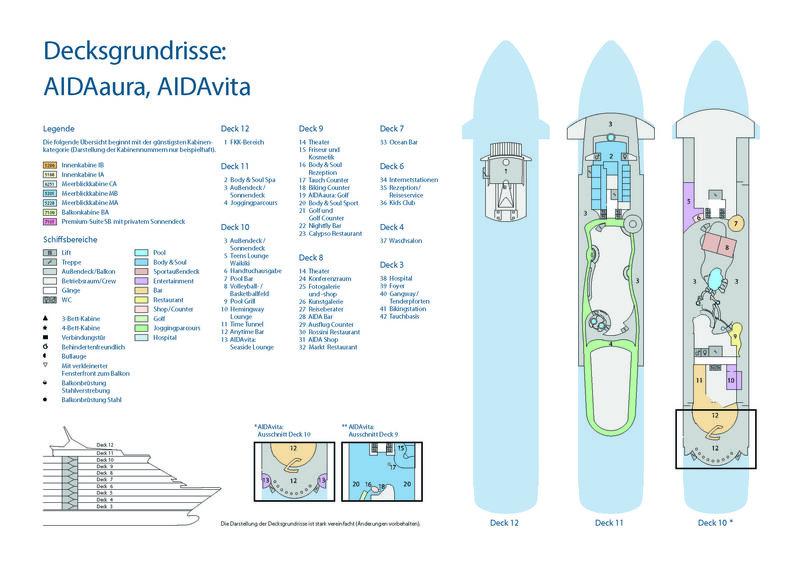 Diesel Gen – Wartsila 4-stroke 6L38B – 4-stroke 6-cyl. 380mm x 475mm bore/stroke 4,350mkW total at 600rpm driving 1 x AC generator(s) at 4,179ekW total, (5,224kVA total) 6600V, 1 x Emergency Gen – 4-stroke 680mkW total driving 1 x AC generator(s) at 544ekW total, (680kVA total) 440V. PROPULSION: 2 x FP Propeller (Aft) (electric), Rolls-Royce, 152rpm, Ø4.50m at 18,800ekW total, 6600V AC. 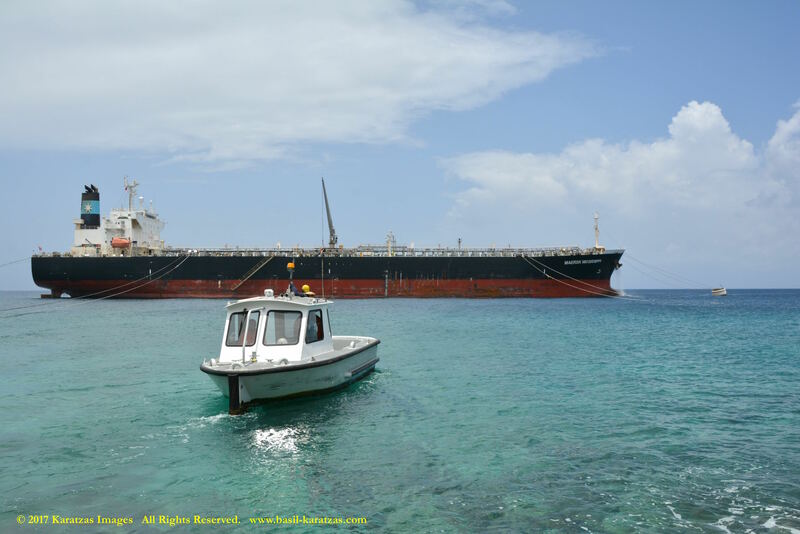 2 fixed pitch Propellors, 2 Bow Thruster(s) of 2400.00, 2 Stern Thruster(s) of 1400.00. 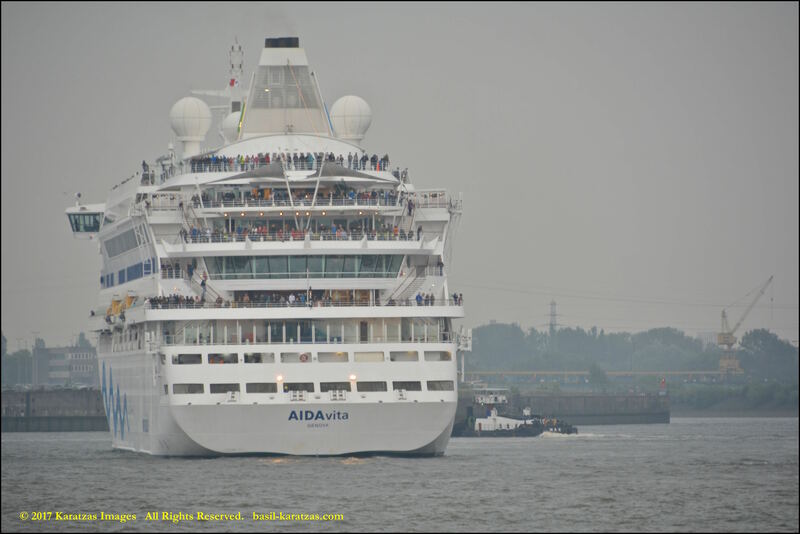 Images of more AIDA cruiseships posted on our blog: Images of MS ‘AIDAbella’ departing the Port of New York in September 2014, photographed against Statue of Liberty. 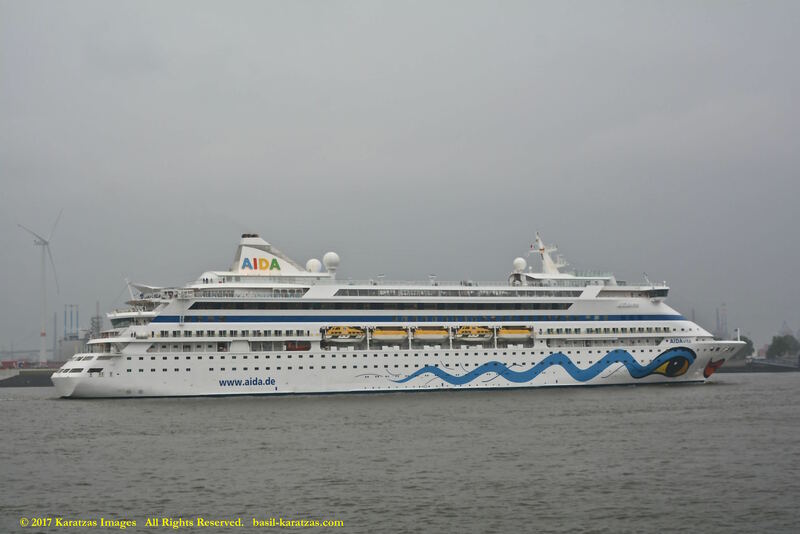 Images of MS ‘AIDAluna’ departing the Port of Hamburg in May 2014. 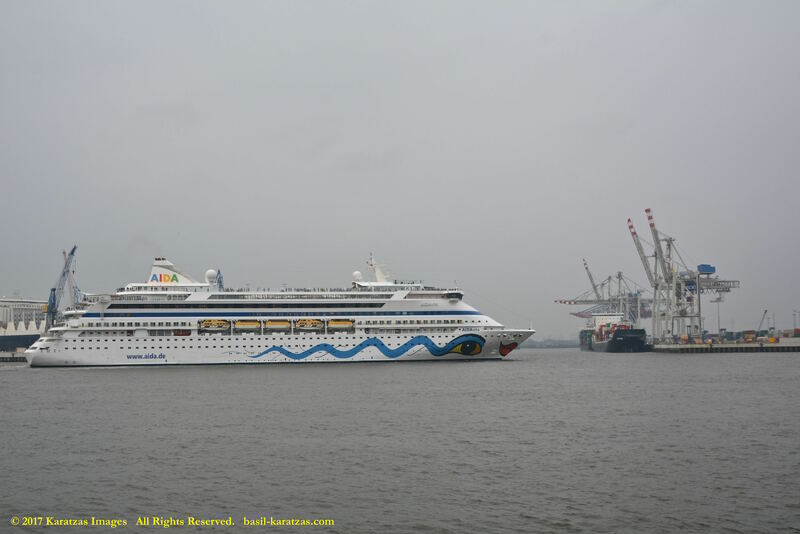 Images of MS ‘AIDAsol’ departing the Port of Hamburg in May 2017. 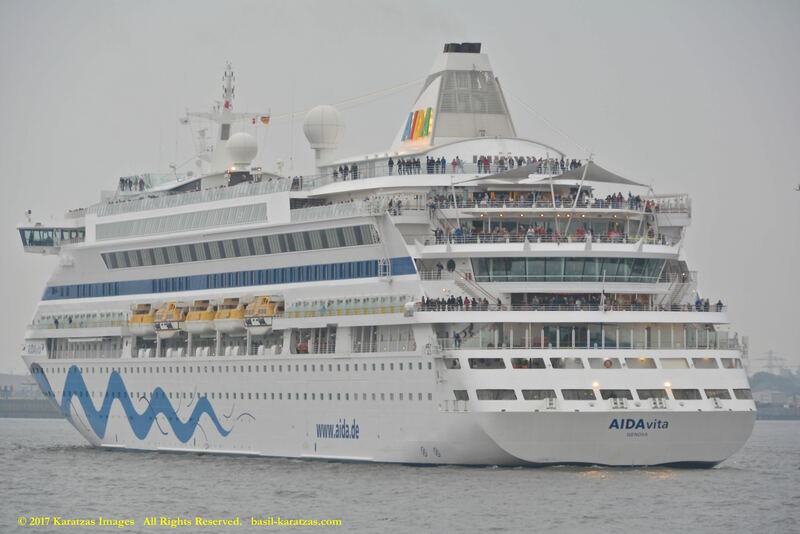 Delivered in 2002 by AKER MTW Werft, 1,265-berth cruiseship MS ‘AIDAvita’ departing the Port of Hamburg on a rainy May afternoon. Image credit: Karatzas Images. 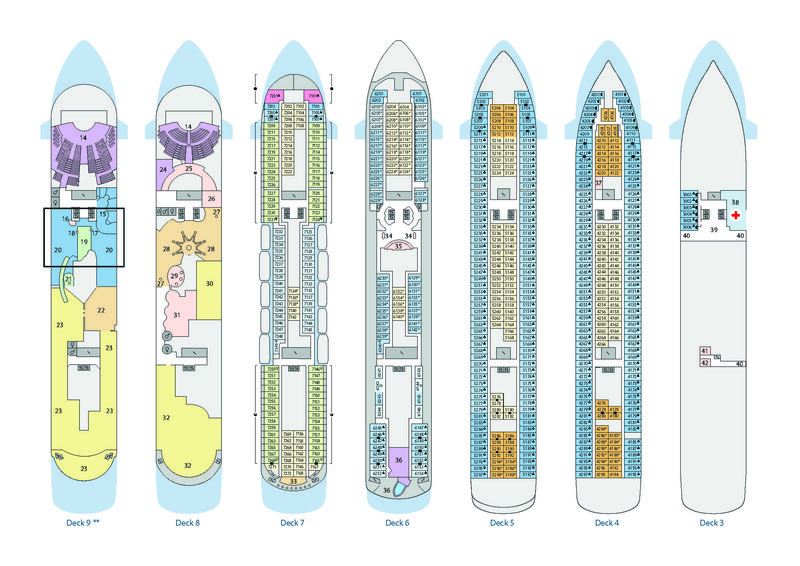 Deckplans of cruiseship MS ‘AIDAvita’ as per company’s website. 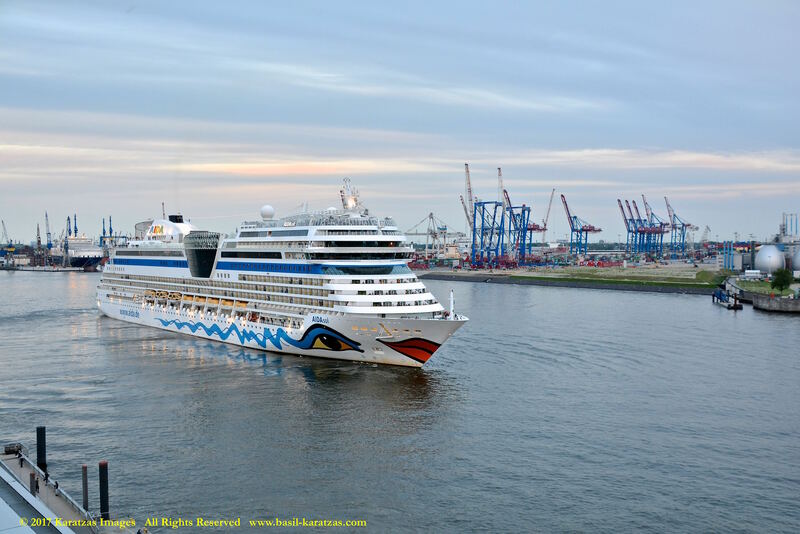 Posted on May 18, 2017 by Karatzas Marine Advisors & Co.
SHIPOWNERS’ DETAILS: Aida Cruises Ltd, Germany. 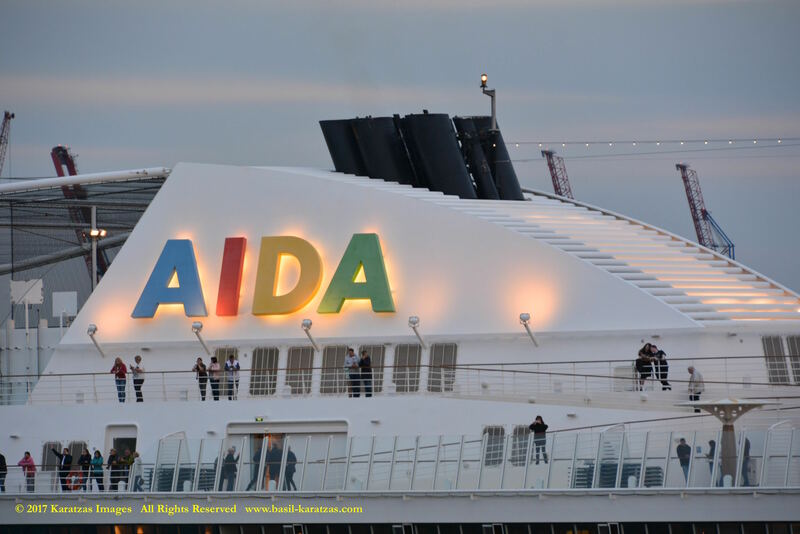 Aida Cruises Ltd is a subsidiary of Carnival Corporation & plc. 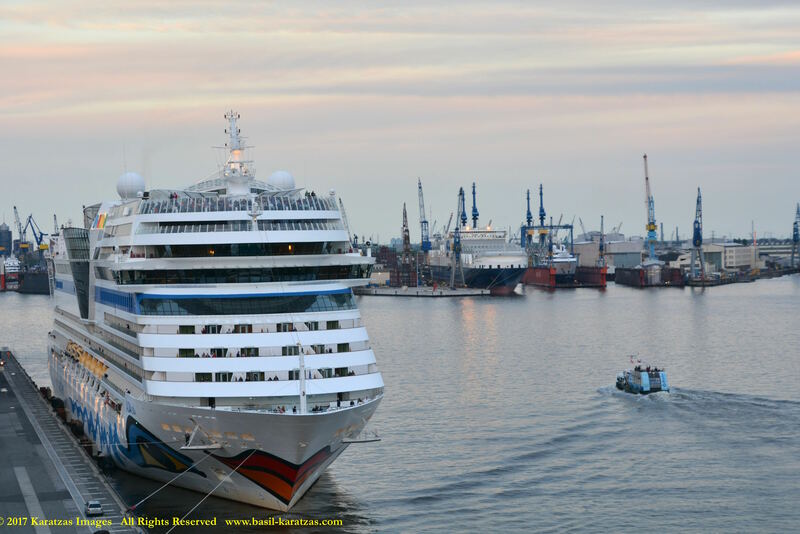 SPECIALIZED DETAILS: Total number of Passengers 2,580, 1,100 Passenger Cabins, 2,175 Passenger Berths, 14 Passenger Decks, 620 Crew. 14 x Elevator, Passenger – Hans Lutz, 2 x Elevator, Passenger – Hans Lutz, 1 x Elevator, Passenger – Hans Lutz, 1 x Elevator, Passenger – Hans Lutz. 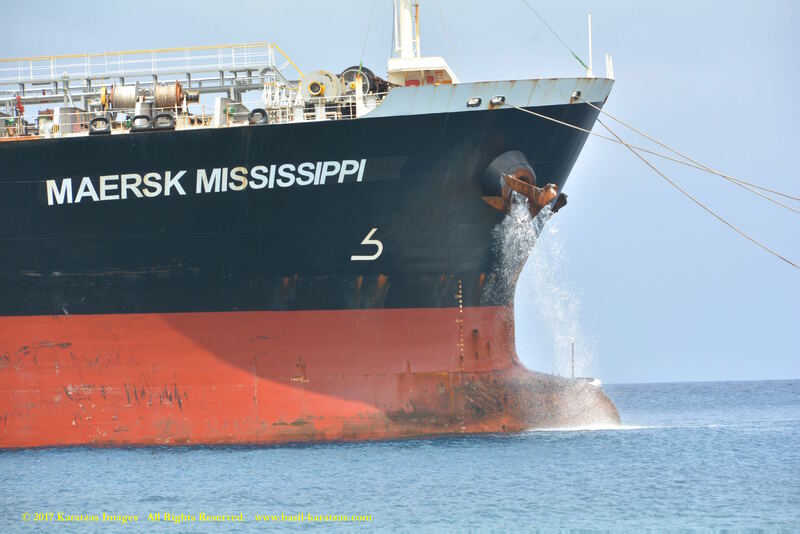 ENGINE DETAILS: MaK Engine, Speed of 22.50 kts, Heavy Fuel Oil. Engine Description 4 S.A. 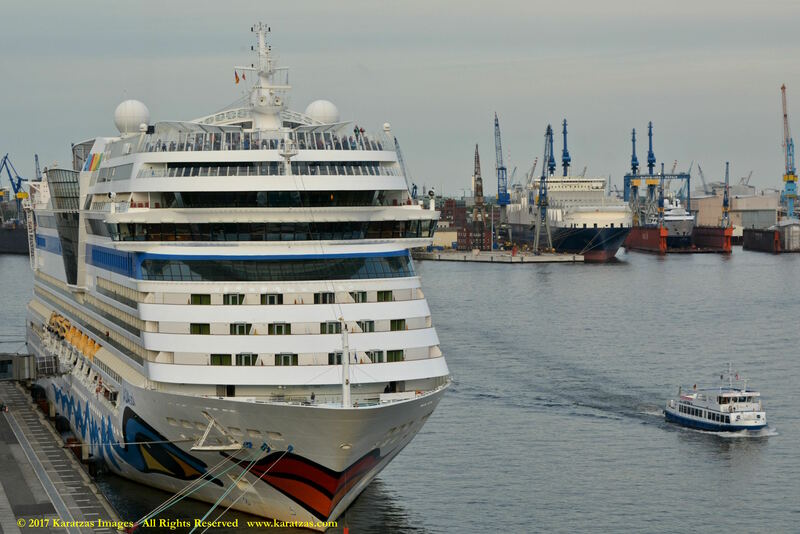 9-cyl., Engine Model 9M43C, 2 Fixed pitch Propellors, 2 Bow Thruster(s) of 4600.00, 2 Stern Thruster(s) of 3000.00. AUXILIARY: 1 x Emergency Gen – 4-stroke driving 1 x AC generator(s) at 800ekW total, (1,000kVA total) 690V at 60Hz. 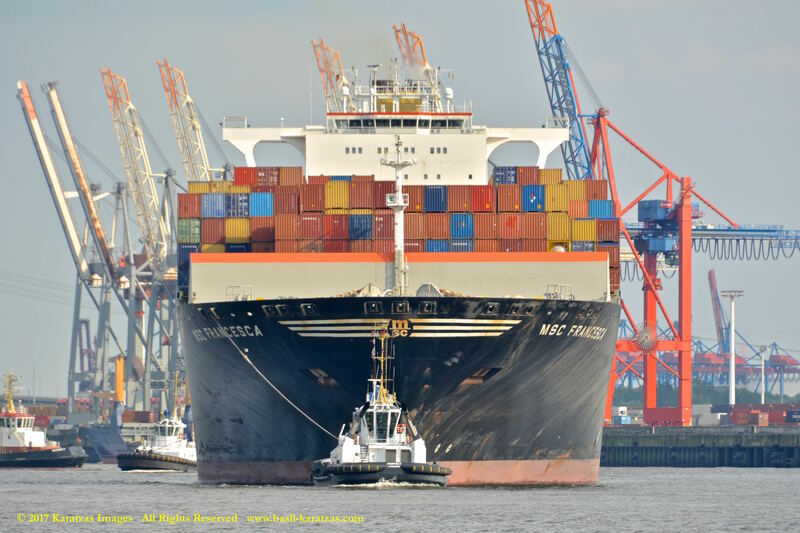 PROPULSOR: 2 x FP Propeller (Aft) (electric) (Copper-Nickel), Mecklenburger, 130rpm, Ø5.20m at 25,000ekW total, 11000V AC. POS, PROPULSOR: 2 x Pos, Tunnel Thruster (Fwd.) 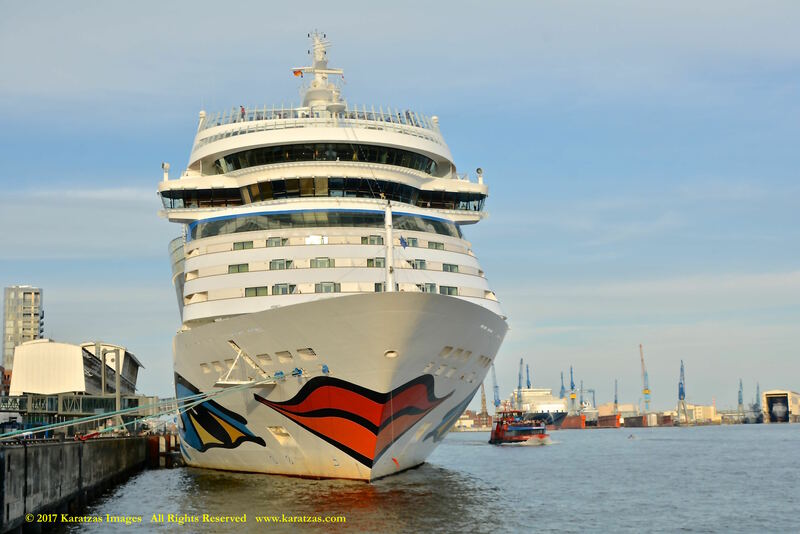 (electric), Brunvoll at 4,600ekW total, 11000V AC, 2 x Pos, Tunnel Thruster (Aft) (electric), Brunvoll at 3,000ekW total, 11000V AC. 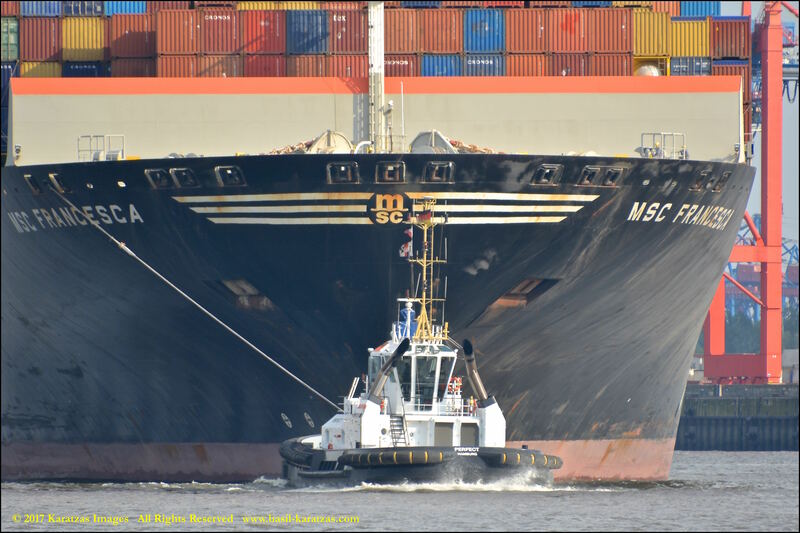 ADDITIONAL INFORMATION: Vessel has reported newbuild price of EUR 385 million, contracted on 14 December 2007. 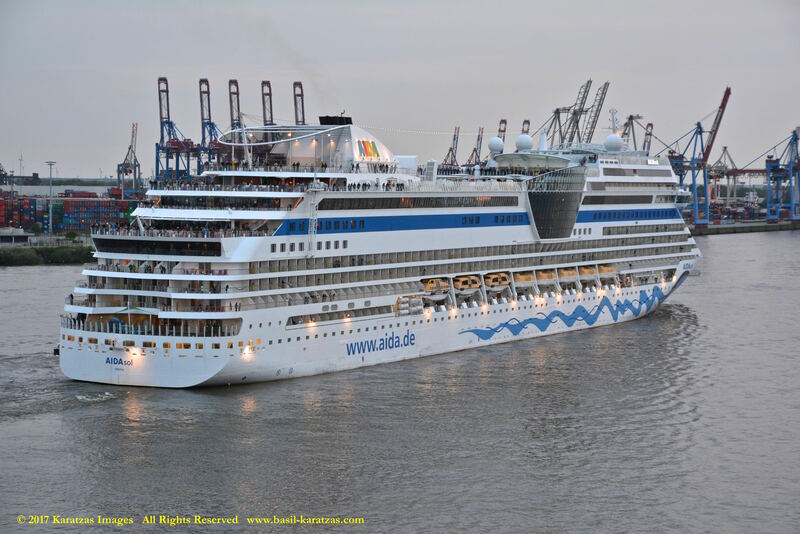 With 2,175 berths and a newbuilding cost of EUR 385 mil, the fifth of the Sphinx Class in the Aida fleet, seen here departing the Port of Hamburg. Image credit: Karatzas Images. 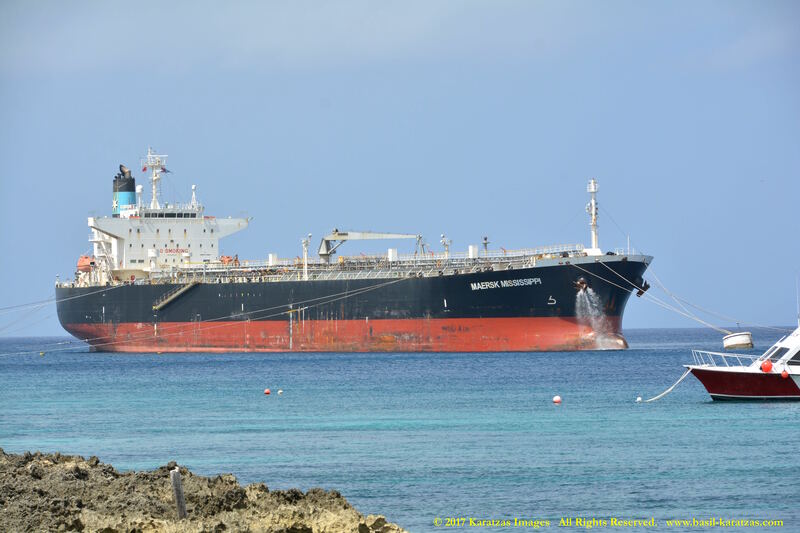 Posted on May 2, 2017 by Karatzas Marine Advisors & Co.
48,045 DWT Products Tanker, built in 2010 at Iwagi, Zosen, Japan. 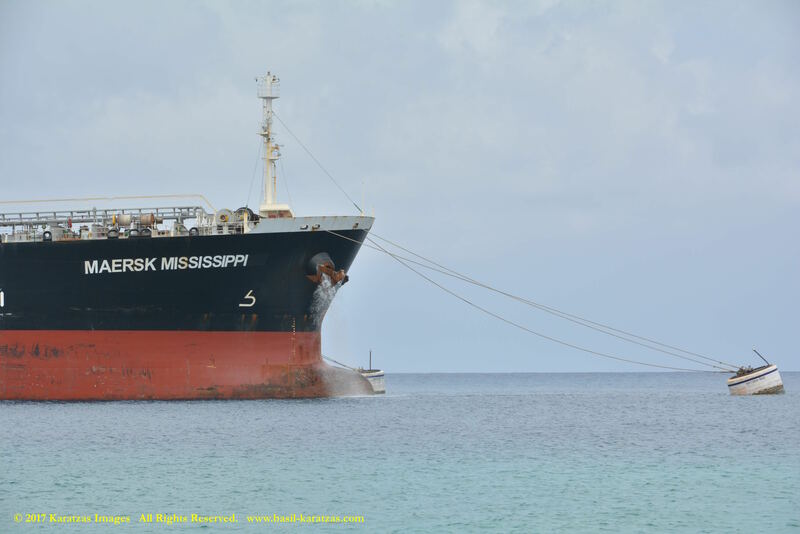 VESSEL IDENTIFICATION: Ex-name is Future Prosperity. Launch Name was Future Prosperity. 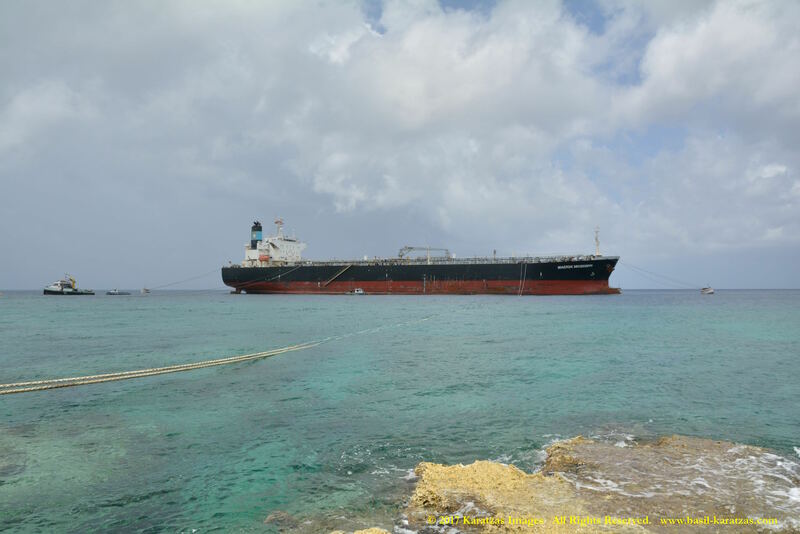 Handy Tanker, Call Sign 9V3459, IMO Number 9555319.Built at Iwagi Zosen, Singapore Flagged, Length Overall of 180.00 m., Length Between Perpendiculars of 172.00 m., Draught of 12.60 m., Beam of 32.20 m., 51.80 Tonnes per Centimeter Immersion, Gross Tonnage of 28,770, Moulded Depth of 19.05 m., Lightship air draft of 37.55 m., Keel to mast air draft of 45.00 m., Tonnage of 23,899 Panama Canal Net, 27,515 Suez Canal Net, 12,680 International Net, 10,010 Light Displacement and 47,285 Dwt (long). ENGINE DETAILS: Engine Description 2 S.A. 6-cyl., Engine Model 6S50MC-C8.2, 1 fixed pitch Propellor. MAN B. 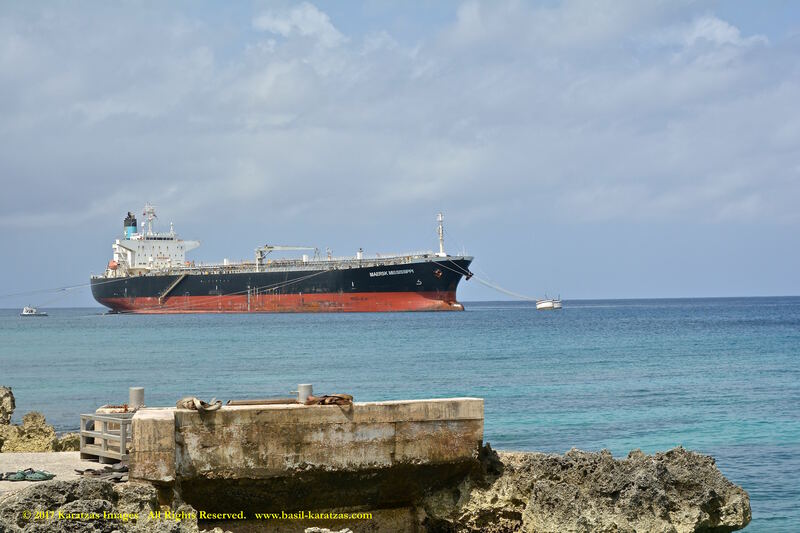 & W. Engine, Speed of 14.60 kts at 32.80 tonnes per day, Heavy Fuel Oil, Horsepower of 12,880, Bunker Capacity of 2,280 tonnes. 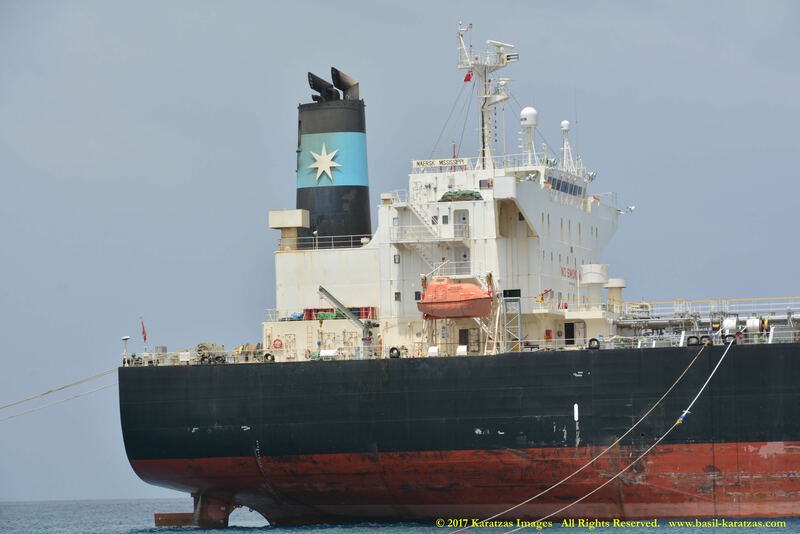 VESSEL’S OWNERS / MANAGERS: Maersk Tankers A/S, Denmark. 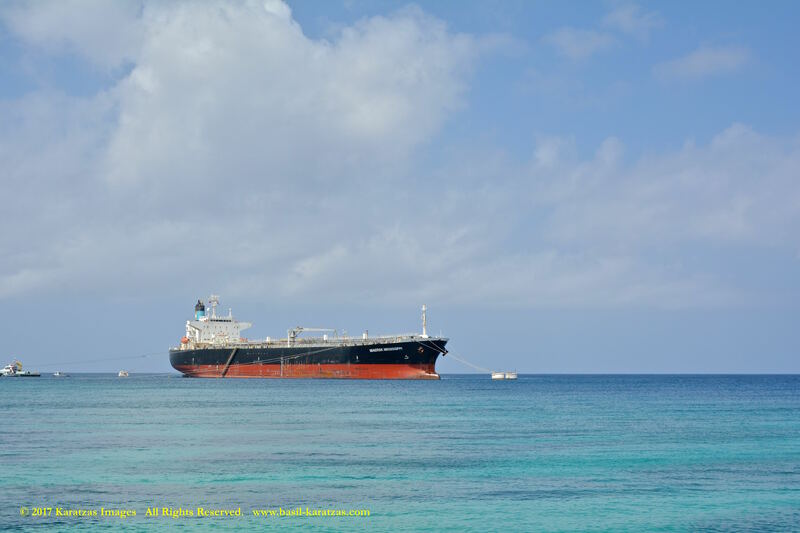 Maersk Tankers A/S is a subsidiary of A.P. 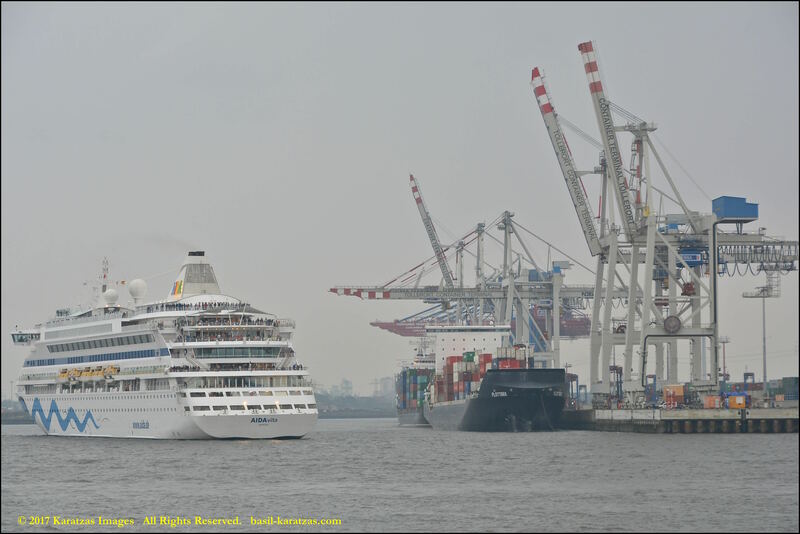 Moller – Maersk A/S. 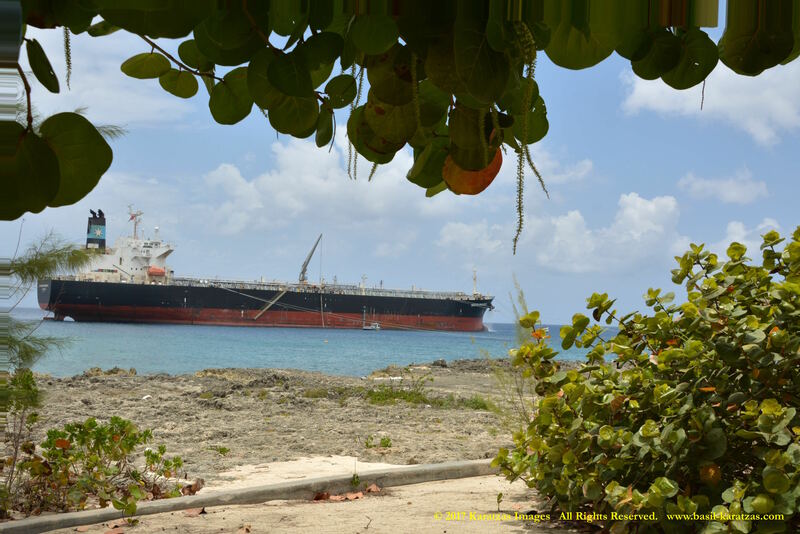 Technical Manager: Maersk Tankers Management. 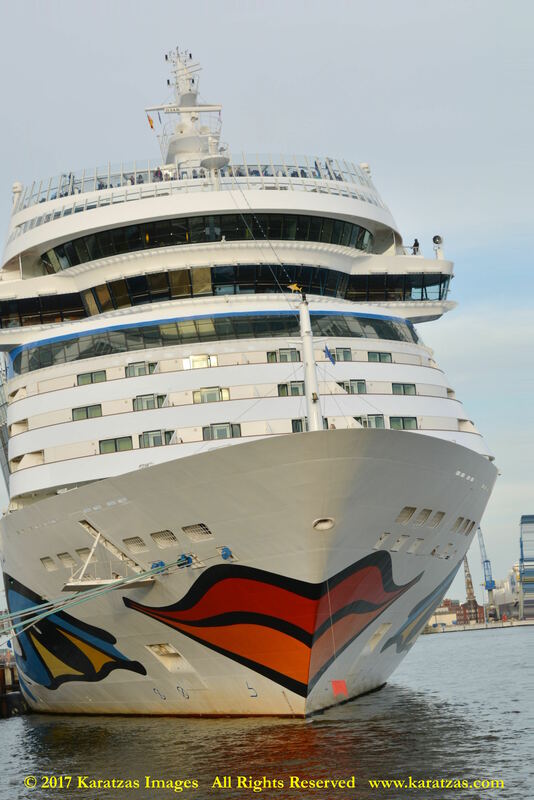 CARGO HANDLING DETAILS: Cargo Capacities of 52,690 cu.m. 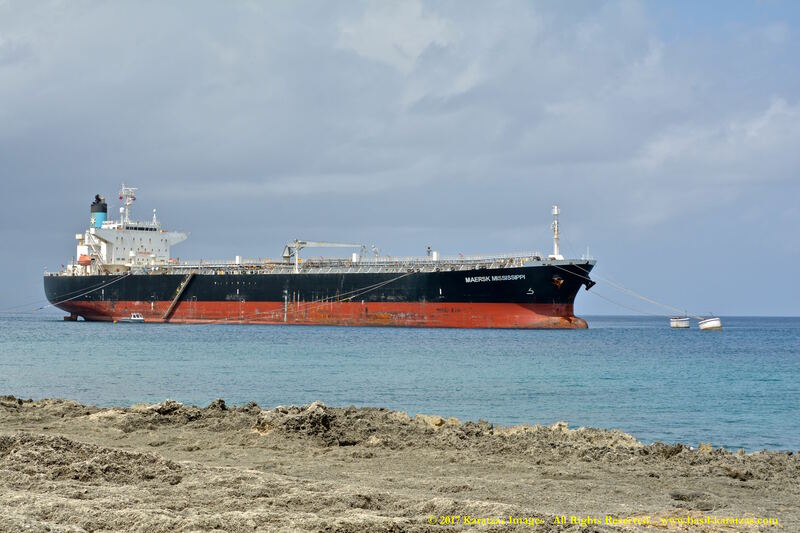 and 331,260 Barrels, Segregated Ballast Tanks, 16 Tanks, 4 Pumps with a total Capacity of 3,300 cu.m., Epoxy Tank Coating, Heating Coils, Maximum heating capacity of 66 degrees Celsius. 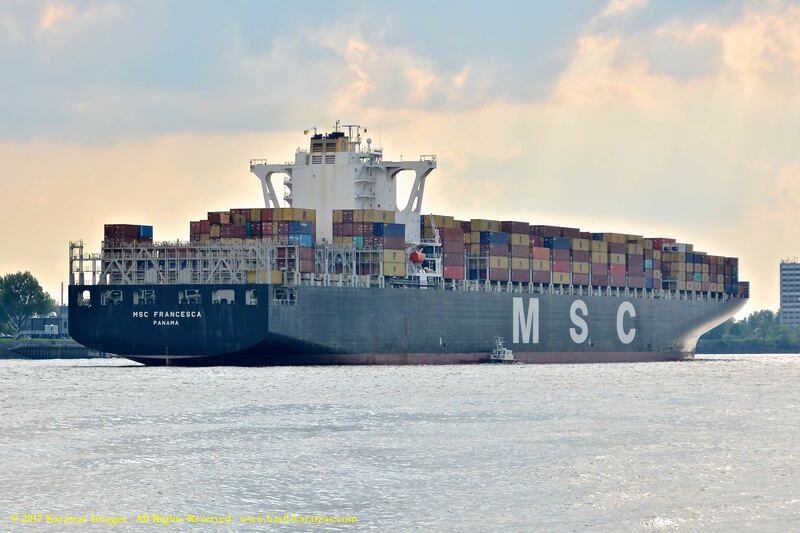 4 Cargo Separations, 16 Wing Tanks with a capacity of 52,692 cu.m., all of which are fitted with heating coils, 4 Cargo Manifolds, Stern Discharge, Closed Loading System, Cargo connections have diameters of 16 inches, Manifold height above deck of 1.80 m.
MAIN ENGINE: 1 x Diesel – MAN B. & W. 6S50MC-C8.2 – 2-stroke 6-cyl. 500mm x2000mm bore/stroke 9,473mkW total at 127rpm. PROPULSOR: 1 x FP Propeller (Aft Center) (mechanical), Nakashima, 127rpm.